Modern bouldering relies on crash pads. Although early boulderers used only shoes and chalk, today’s boulder problems are harder, higher, more obscure and involve crazier landings. 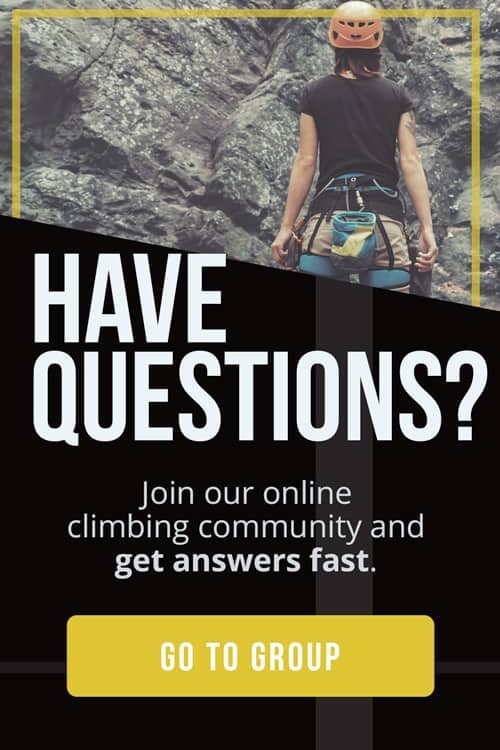 So, how do you protect yourself when bouldering? Have the best bouldering crash pad laid out beneath you to protect your fall. 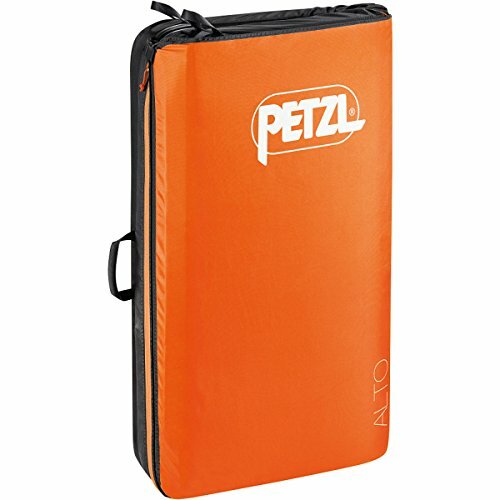 Crash pads vary in size, thickness, stiffness and price. 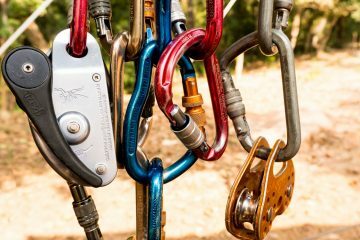 The type of boulders you are climbing and where you find them may dictate what type of pad you need. Are you bouldering in Bishop, California where the landings are flat but high balls abound? Or are you bouldering in Squamish, British Columbia, where high balls are rare but the landings are rocky and uneven? 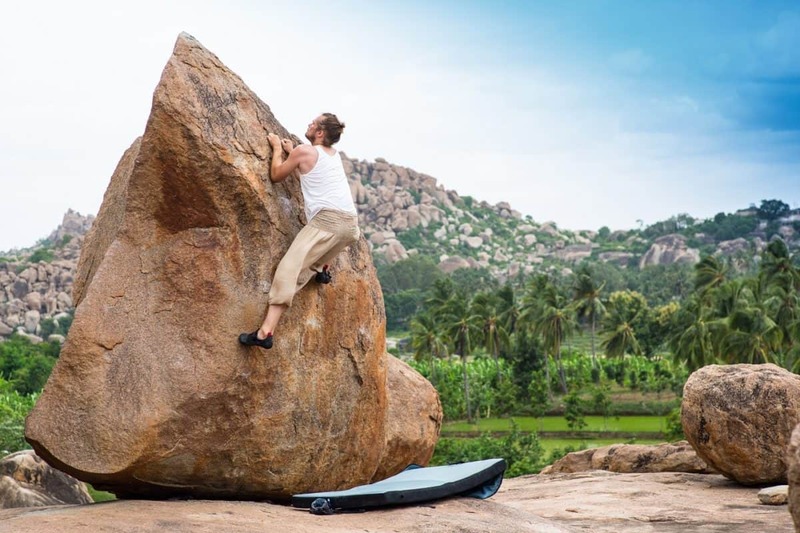 Read on for tips on how to choose the best bouldering pad for you. 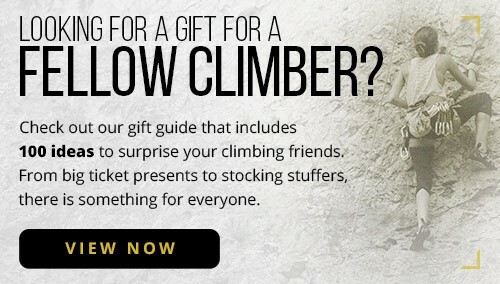 So you’re set up with your shoes and your chalk bag is full of fresh white gold. All you need is a crash pad and you’ll be hitting the boulder fields to take down your latest proj. But what should you consider when buying a crash pad? The foam? The pad design? It’s carrying ability? The value? A mix of all of the above? 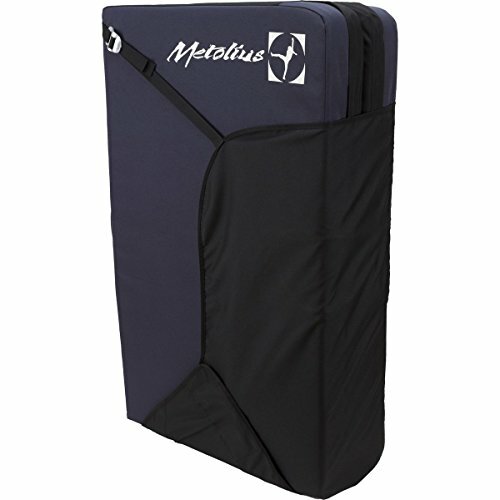 Crash pads unfold to provide the protected landing zone you need while bouldering. Pads are big; they come with a variety of closure styles so you can carry them around or fit them in your car. Usually, crash pads have one of three primary fold-up systems: Hinge, Taco and Burrito. 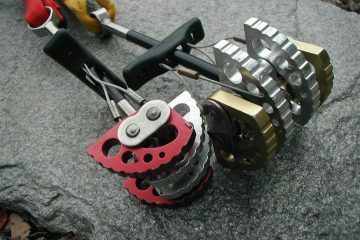 The hinge style is the most common system out there, with a midway seam allowing the pad to fold neatly in half. 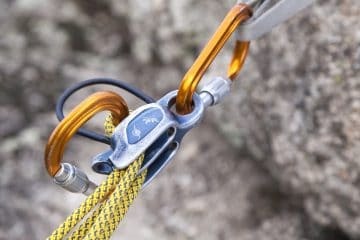 Hinge pads often have stiff, sturdy foam making it a breeze to pad out your boulder problem. They are also easy to store and carry. However, the hinge can bottom out if you land directly on the seam with a rock or other feature underneath it. Some companies do their best to reduce the chance of a pad bottoming out by incorporating a hybrid hinge design to eliminate the gutter. A taco style pad has no hinge. Rather, it is a single piece of foam that you fold in half to transport. These pads better protect uneven landing zones, but are somewhat more difficult to carry around. Like the taco style pads, burrito fold ups have no hinge. It can conform to obscure landing zone features. 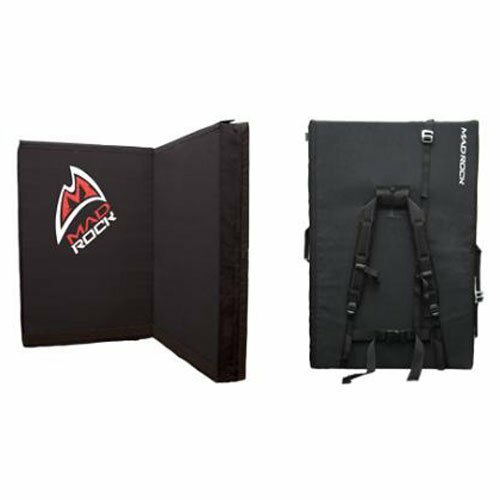 We recommend a solid foam burrito or taco fold up pad when bouldering over uneven, jagged landings. A burrito style pad is rolled up for transport. 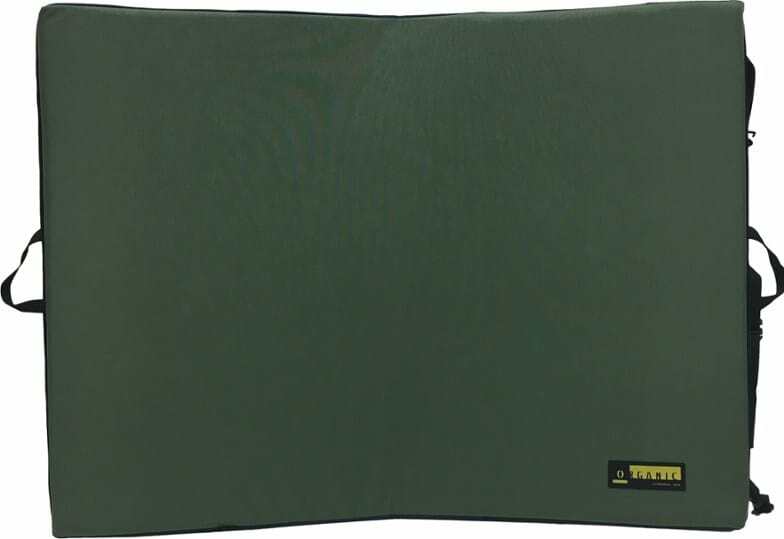 Crash pads are usually constructed with either 4 or 5 inches of foam inside a durable outer covering. 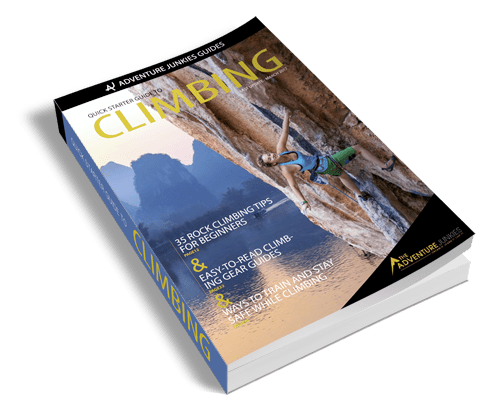 While 4 inches is suitable for most scenarios, you might want to consider a thicker pad if you know that you’ll be climbing a lot of high balls. Foam also breaks down and softens over time, so investing in thickness may help your pad last longer. The stiffness of your foam becomes important depending on whether you are climbing high or low ball boulder problems. If you love climbing problems that are low to the ground, a softer pad will make your falls much more comfortable. If you know you might be falling from high up, a stiffer foam will better protect you from bottoming out your pad. Most crash pads are filled with several layers of foam. Polyethylene (PE) foam is closed-cell and very stiff. It provides a stable footing for landing does not distribute much of the energy produced in a fall. Polyurethane (PU) is softer, open-cell foam that is better at absorbing the shock energy from a fall. 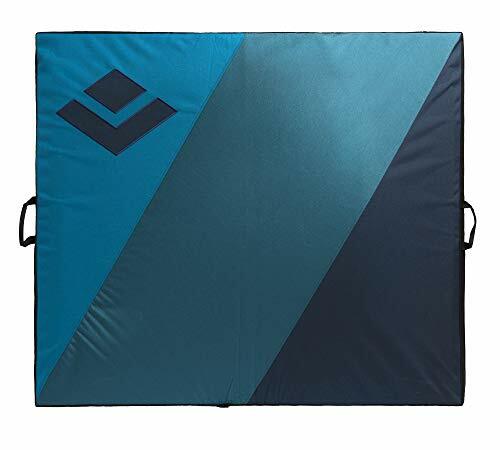 A standard medium pad is about 3 by 4 feet (36 in x 48 in) and will meet most of your bouldering needs especially when you are starting out. 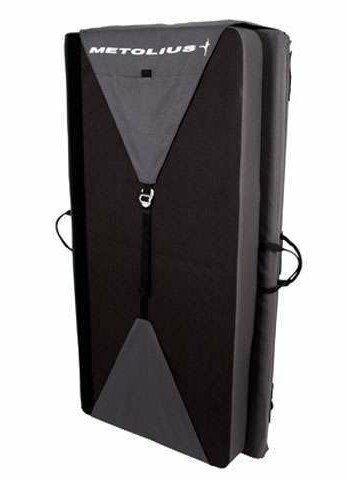 Medium pads are easy to carry, fit in most car trunks, can protect most boulder problem heights and are a great addition to other pads. While large pads are heavier, more expensive and harder to transport, they offer better coverage with reduced risk of ankle-breaking seams between pads. 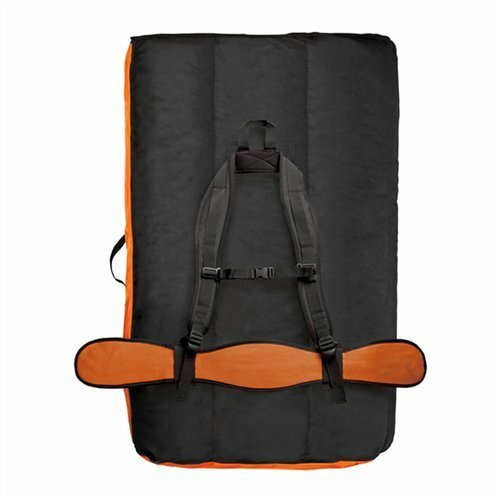 If you are bouldering solo with only one pad, a large pad could be your best bet. There are other sizes of pads on the market that are meant to complement your main medium or big pad set-up. Mini pads are great for filling gaps, using as starter pads or wiping shoes. We have not covered mini pads in this review as they will not effectively protect a fall on their own. When you’re bouldering, your crash pad is your life line. Make a quality investment. Many pads have durable, water and abrasion resistant bases that will keep them lasting long. Most crash pads are constructed with a high denier material, meaning the outer fabric is thick and sturdy. Durable fabric is important as you will be tossing, scraping and dragging your pad around in addition to landing on it. So, you want your pad to last.